It’s instructive to compare Sonny Rollins’ performance at this June 2006 French concert to the 1965 and ’68 TV footage recently released as part of the exceptional Jazz Icons series. What’s remarkable is just how little his music-making approach has changed. Then, as now, Rollins’ m.o. was to fully examine all angles of a piece, and not leave it behind until all unique possibilities have been exhausted. Sliding into a meditative state, he becomes an island unto himself, a highly physical player with a seemingly bottomless well of ideas. The viewer becomes transfixed observing Rollins become transfixed; it’s one of the most satisfying experiences jazz has to offer. Of course, 40 years ago, the younger Rollins had more to prove-he got more notes to the gallon, ventured further outside, utilized more nuance in his phrasing. He’s more accessible now, but still very much Sonny Rollins-there’s no mistaking that sound for any other. 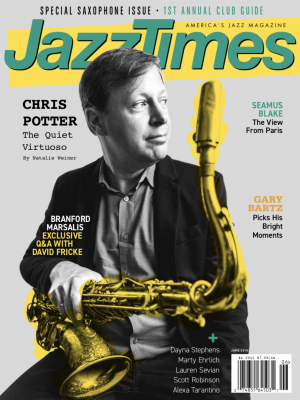 His solos remain feats of endurance, his improvisational skills still unmatched and undiminished. And although all of his interaction with his musicians-longtime bassist Bob Cranshaw, trombonist Clifton Anderson, guitarist Bobby Broom, percussionist Kimati Dinizulu and drummer du jour Victor Lewis-is confined strictly to the music itself, there’s no one with a keener ear than their leader; his trust and their allegiance is palpable. 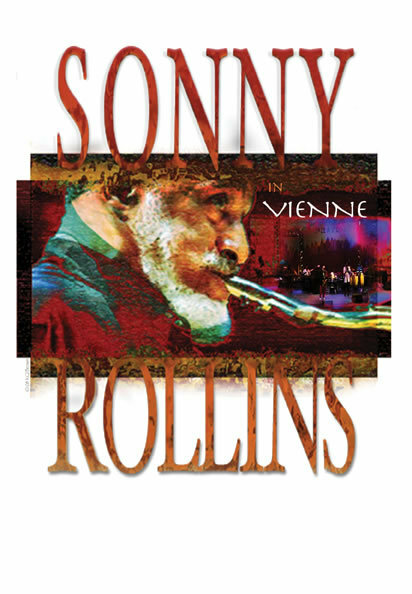 The full-length concert at the Théâtre Antique de Vienne provides a rare opportunity to watch how it all unfolds at a Rollins event-and any Sonny Rollins gig is an event. Over the course of an hour-and-a-quarter, Rollins and his band roll out only five tunes, ranging from 13 to nearly 22 minutes: two standards (Berlin’s “They Say It’s Wonderful” and Dietz/Schwartz’s “See Your Face Before Me”) and three Rollins originals, two of which (“Global Warming” and “Don’t Stop the Carnival”) reaffirm Rollins’ longtime affection for the calypso rhythm; the other, “Sonny, Please,” is the title track of the album he was supporting at the time. The French audience is sedate at first, absorbing it all. By the end they’re on their feet, clapping along in time as Rollins stands at the lip of the stage repeating ad infinitum, with minor variations, what is basically the same figure. They’ve fallen in love, once again.